Now is the time to start your journey at IU South Bend. Application, tuition, financial aid, student housing. We’ll help you every step of the way. IU South Bend has something for everyone. 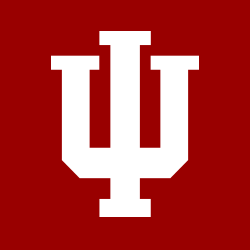 Study abroad, athletics, student housing, professors who know your name, friends for life, and the power of an Indiana University degree. Take a look at what it’s like to be a student at IU South Bend. This year, IU South Bend welcomed six Adam W. Herbert Presidential Scholars to its freshmen class. These students were some of the best of Indiana’s graduating high school seniors. They represent the highest number of Herbert Scholars ever to enroll at IU South Bend in a given year. Read why they chose to come here. The next great discovery in the world of physics just might happen in the basement of Northside Hall. Professor Ilan Levine is leading a group of students on a project to learn more about dark matter. The research is supported by a $770,500 grant from the National Science Foundation. We've been shaping the lives of our students and our community since 1916. Join us as we take a walk down memory lane and celebrate where we've been and where we're going.